Hey everyone! Are you a one direction fan? If so I have an amazing giveaway for you guys! 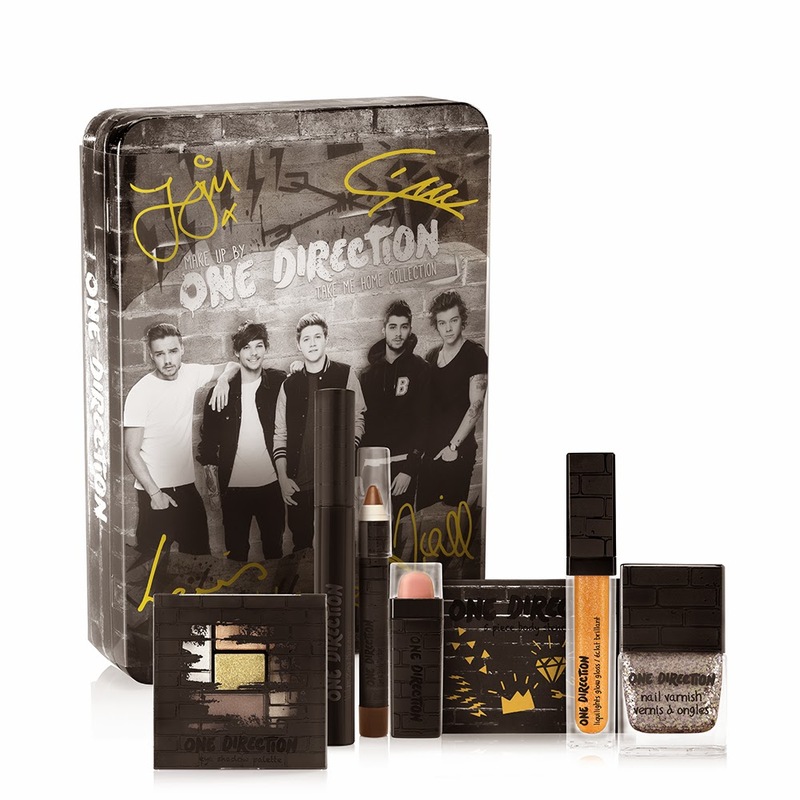 Recently it had been announced that One Direction is coming out with there own makeup collection which they teamed up with Markwins to make this happen. How exciting right? Well I have the hook ups for you! You will have an opportunity to win one of the 3 new makeup kits. 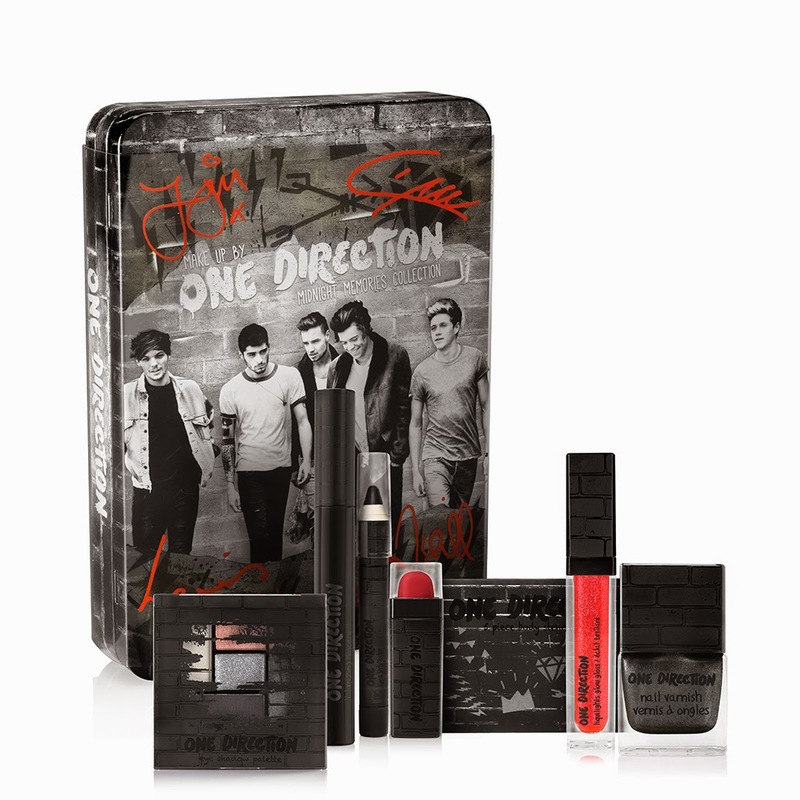 It would come in a limited edition tin including makeup from there collection. The makeup collection its self will not be released until August 11th in Macy's stores, and won't hit stage stores until August 25th, so you will be able to win one of these kits before its released! *International release dates TBD. We'll keep you posted! 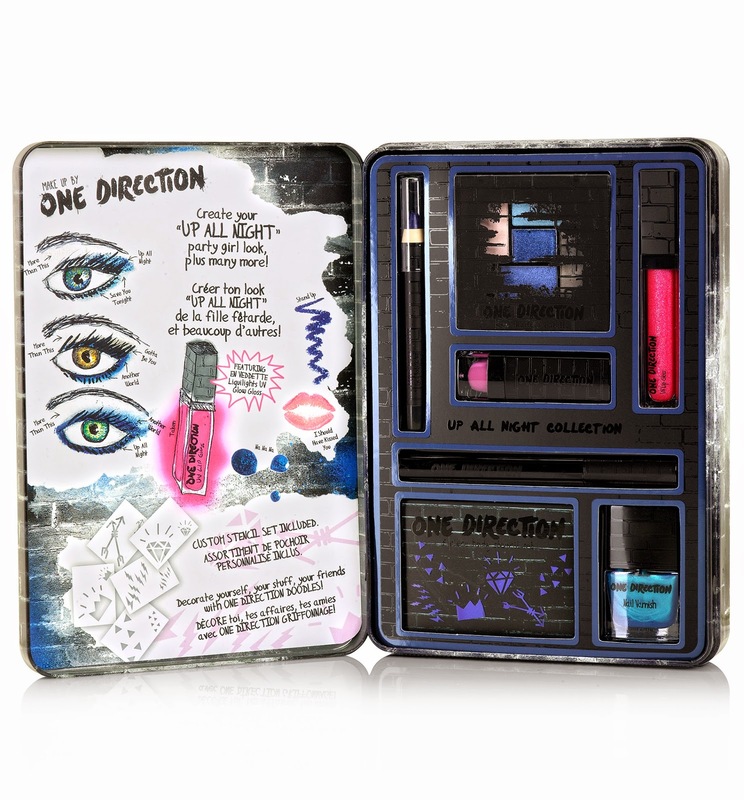 The makeup kits that you could possibly win are The Up All Night Kit, Midnight Memories Kit and the Take Me Home Kit. All you have to do is fill out this form and you can enter up to 3 times. And the giveaway ends in 15 days. There will be 50 winners total! Don't forget to enter here! Also don't forget to "like" there facebook page!